The Indian Premier League 2019 or IPL 2019 is fifteen games old now! And things have started to heat up. Meanwhile, defending champions Chennai Super Kings (CSK) were handed their first defeat of the season by hosts Mumbai Indians. Meanwhile it is tike for another single header in the IPL, but before getting into the details of the start time, live streaming and live score of Delhi Capitals (DC), formerly Delhi Daredevils, vs Sunrisers Hyderabad (SRH), take a look at the IPL 2019 points table scenario below. MS Dhoni Gets Rousing Welcome at Wankhede Stadium As He Comes Out to Bat During MI vs CSK IPL 2019 Match, Watch Video. Season first defeat for CSK means that they drop to second place on the IPL 2019 points table. It is kings XI Punjab (KXIP) who move to top of the team standings in IPL 2019. Both CSK and KXIP have same number of points but due to better run-rate Punjab is placed on top of the IPL 2019 points table. IPL 2019 Points Table Updated: CSK Drops to Number Two Following Defeat Against MI, KXIP Move to Top of Indian Premier League 12 Team Standings. All-rounder Hardik Pandya stared with both bat and ball to hand Mumbai Indians their second win of the season. The all-rounder score valuable 25 off just eight balls to lift his side to a competitive total and then picked three wickets. The win was MI’s first at home this season. MI vs CSK Stat Highlights IPL 2019: Mumbai Indians Becomes First Team to Win 100 Matches in Indian Premier League. 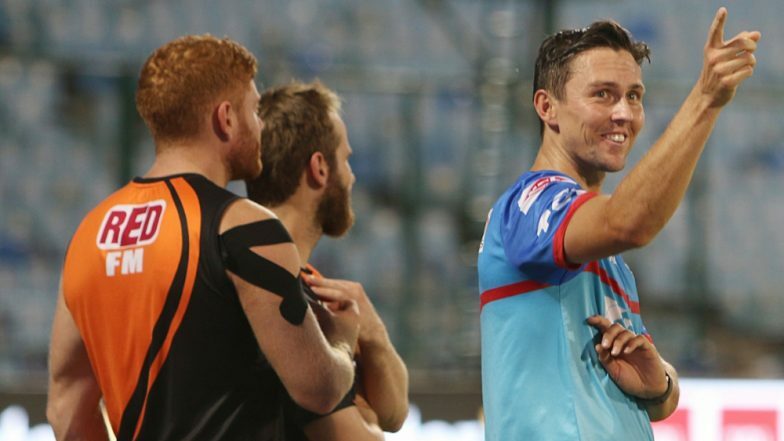 Delhi Capitals and Sunrisers Hyderabad, face-off in the IPL 2019 match 16. It will be played at DC’s home venue- Feroz Shah Kotla in Delhi. The DC vs SRH is scheduled to begin at 08:00 p.m (IST). Fans can watch the IPL match two both on TV and via online streaming. Star Sports holds the telecast rights of IPL 2019 and will broadcast the match live across its network. The live streaming online of IPL 2019 will be available on Hotstar app and website. Fans can click here, for DC vs SRH live score updates.